As you age, you might find it necessary to make changes in your lifestyle. This could mean making a transition from your home to a senior living community. Although the idea of moving from your home to somewhere unfamiliar may sound daunting, the results of your move can be a great joy and a wonderful step in your life. This can also take the stress off of you and your loved ones who may be struggling to maintain your home, or to adequately care for your changing healthcare needs. 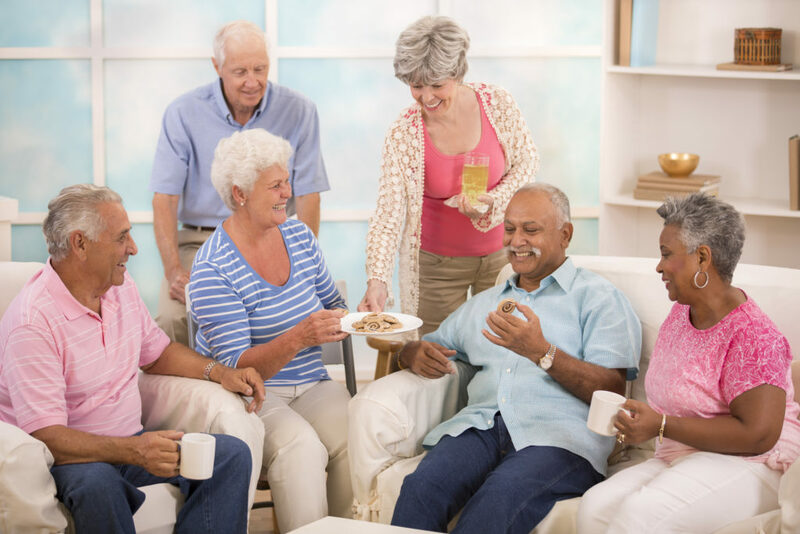 The adjustment period after moving to a senior living community can feel a bit unfamiliar and new, but by preparing yourself for the next step in your life, you can make your new community an amazing home and place filled with amazing experiences. Make Friends: Introducing yourself to your neighbors, or simply getting involved in an activity, class, or group can help you make friends. Knowing more people and building new friendships and relationships can be an instrumental way to ensure you feel comfortable and happy in your new home. Get Involved: There are so many different activity options to take advantage of in your senior living community. Make sure to explore what is available and find some things that interest you. The abundance of options is a perfect way to find something you enjoy doing, or a new favorite activity all while making friends and learning more about your community. Bring Familiar Items: A great way to feel settled and relaxed in your new community and home is by bringing in familiar items you cherish. Whether it be your favorite collection of books, a cherished blanket, or family photos, surround yourself with the objects that will make you feel most at home. Stay in Contact with Family and Friends: Getting adjusted isn’t just a transition for you, it’s also a transition for your loved ones. Stay in contact with them by having them visit your new home and calling frequently to catch up on each other’s lives. You can even have family and friends participate in some of the senior living community’s activities with you. Get to Know the Staff: Being able to get to know the staff and find friendly, familiar faces that are willing to help and accommodate your needs is a great way to make you feel more comfortable. Expect a friendly staff to welcome you, and make sure to direct any question or concerns you may have towards them. Here at Immanuel Lutheran Community, we pride ourselves on our warm and welcoming staff and community filled with tons of opportunities and amenities for all to enjoy. We also have a large array of different living options that could help ensure you get the right level of assistance for your unique needs. We offer everything from assisted living to memory support, skilled nursing, and other beneficial health services. Contact us today to learn more about us or join our mailing list to get more updates on our community.